It's a good thing he second guessed his first idea and tried to make the story a little more believable. Master Alien Xenu dropping hydrogen bombs into volcanos full of aliens makes much more sense. 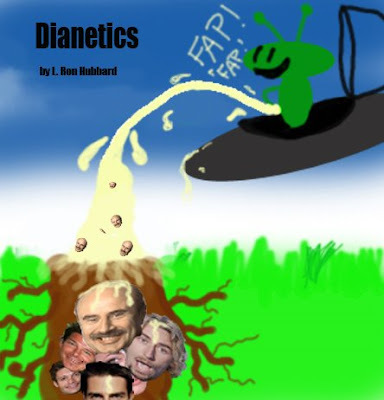 In the words of Jack Black and Tenacious D..."Dianetics, truly much better than Krishna, Dianetics, truly much better indeed..."